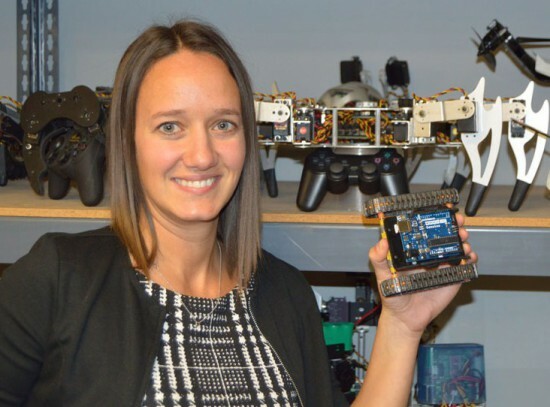 This week we’re happy to introduce a new Genuino Reseller from Canada with Julie Gendron of RobotShop! 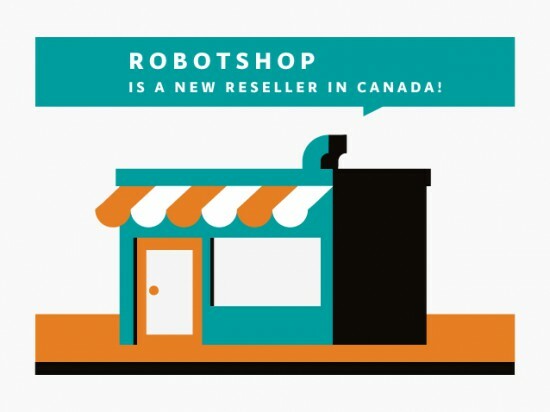 At RobotShop, we specialize in personal and professional robot technology and offer a wide range of robotic products and services in this sector. We have offices in USA, Canada and France. Our vision is to be the world leading source for personal and professional robot technology that help increase the pleasure, knowledge, liberty and security of individuals. We are also committed to promoting and advocating the interest and necessity of robotics use towards positive ends, allowing humanity to attain a better world. Putting robotics at your service! – What’s your favourite Arduino or Genuino project? We enjoy Arduino robots and projects from beginners that are starting in robotics. For example this Arduino robot from a beginner on the Let’s Make Robots Blog and forum. We like it because it represents the Arduino and Genuino brand well with a simple and fun “do it yourself” / hobbyist project. This is the meaning of Arduino; for anyone to be able to build a robot or interactive project easily. This is why we help the way we can, by providing Arduino tutorials that can help beginners as well as more advanced Arduino users.